Cycling tours in Australasia include Australia and New Zealand – both locations provide exceptional cycling holidays with excellent cycling routes along side incredibly diverse scenery. The world’s smallest continent and sixth largest country has so much to offer that it becomes difficult to know where to start – the east, west and south coast all offer varied and diverse cycling. Its sheer size means it is home to a variety of different landscapes and climates, much of the wildlife, flowers and fauna are unique to Australia – those exploring the country by bike are more likely to come into contact with wildlife in its natural habitat such as kangaroos, koalas, wombats and so much more! The east coast of Australia is more populated due to its favourable climate, it also offers a wider selection of towns with suitable accommodation. The north east state of Queensland is characterised by its tropical climate and wildlife as well as the famous barrier reef – the world’s largest coral reef system. New South Wales offers stunning scenery with plenty of sunshine and of course the beautiful city of Sydney. 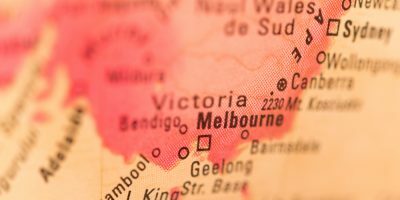 The state of Victoria sits in the south eastern corner of Australia – with the city of Melbourne as its capital. Victoria has a temperate climate and houses a wealth of delights such as the mountain range of the Victorian Alps, numerous ancient forests and the magnificent Great Ocean Road. Much like Australians, New Zealanders are laid back, friendly and welcoming to cyclists. The country itself is famous for its love of adventure sports with both North and South Island provide unique cycling experiences. New Zealand has a temperate maritime climate with average annual temperatures higher on the North Island. Both islands are characterised by breathtaking scenery – multiple scenes from the highly successful film The Lord of the Rings were shot on both North and South Island. 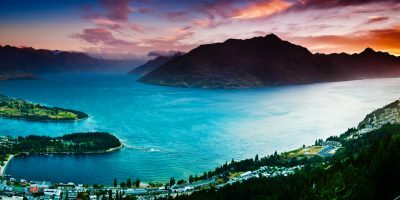 The intriguing North Island sports active volcanoes, geothermal wonders, magnificent beaches, various lakes as well the strong influence of the Maori culture. The South Island boasts numerous untouched landscapes, pristine lakes, rivers, forests and the tremendous mountain range of the Southern Alps.